Chukhrovite-(Nd): Mineral information, data and localities. Russian mineralogist and geochemist Fedor Vasil’evich Chukhrov. Named in 2005 by L. A. Pautov, G. K. Bekenova, V. Yu. Karpenko and A. 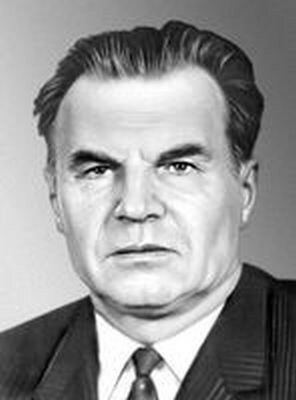 A. Agakhanov in honor of Fedor Vassil’evich Chukhrov (1908-1988) and for the Nd dominance in the composition. The Nd analogue of chukhrovite-(Ce). Poorly shaped combinations of cube and octahedron. Chukhrovite-(Ce) Ca3(Ce,Y)[F|SO4|(AlF6)2] · 10H2O Iso. Chukhrovite-(Y) Ca3(Y,Ce)[F|SO4|(AlF6)2] · 10H2O Iso. 3.CG.10 Chukhrovite-(Ce) Ca3(Ce,Y)[F|SO4|(AlF6)2] · 10H2O Iso. 3.CG.10 Chukhrovite-(Y) Ca3(Y,Ce)[F|SO4|(AlF6)2] · 10H2O Iso. Pautov, L. A., Bekenova, G. K., Karpenko, V. Yu. and Agakhanov, A. A. 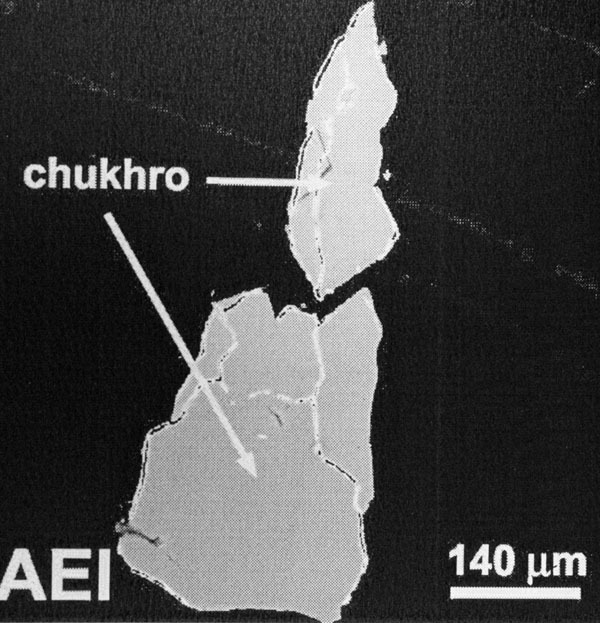 (2005): Chukhrovite-(Nd), Ca3(Nd,Y)Al2(SO4)F13•12H2O, a new mineral. New Data on Minerals 40, 5-10.